Little Shark is born one day in the dark deepness of the sea. Soon his mother and forty-nine brothers and sisters swim away, and he is all alone. The sea is a dangerous place. There are bigger sharks that can eat him and fishermen's nets than can trap him. Little Shark must find food and stay safe so that he can grow into a big shark. Will he make it? And what kind of shark is he? Swim through the seas with Little Shark. 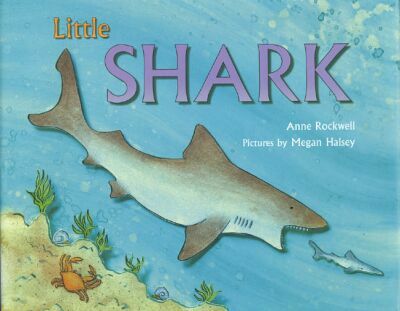 Through his story you'll discover all kinds of fascinating shark facts-- how they eat, how they swim, even what their skeletons feel like!